As a hiring manager, if I have to take any effort to go through a resume, it’s tossed. Not because I’m lazy (well, I am, but that’s besides the point) but because I’ve got 20 other resumes to go through today. I want a resume that’s relevant, I want something that speaks to my business needs; at least, I need to see how you might help me. If I need to look up a dictionary or a trade magazine, that’s too much trouble. ESPECIALLY if you’re an out-of-industry resume that’s trying to come in to mine. Why are you expecting me to understand your industry’s jargon? I also want to have a reasonable assurance that you won’t waste time. A paid resume looks to generate sentences that hit keywords so that recruiters can put your resume in front of schmucks like me. Unfortunately, once that resume gets to me, it often gets tossed because it “looks professionally written.” As in, there’s a good chance that your experience isn’t reflected on your resume. The resume writers are not you. They don’t know what is that wonderous thing that you did, nor do they understand why it’s so great. They also embellish, again, to get those keywords. Which means that I’ll ask you questions you may not be prepared for, and you’ll wish that I asked you questions that I wouldn’t know I need to ask. In other words, I’d waste my time. Which means that I’ll just toss your resume and save both of us the trouble. Very nice, Jeff. When I help friends and family with their resumes, I only coach on one thing: What do you seem to be able to do that few others can do? And then I just help them to tell their story. And Nick: As I was being treated for depression after my job loss in 2009, one of my first steps in recovery after I was able to drive again was a trip to the public library. I came home with an armful of books on writing resumes and interviewing, and spent the next two days reading and taking notes. I can’t remember how long it took to write, but since I had nowhere to go but the unemployment office, I kept at that until it was finished. The result was a resume that no professionals could seem to improve. The only thing I do to update it is to add survival jobs or better stories. As “proof of accomplishment”, I’ve assembled a portfolio that documents, or illustrates via charts, graphs, and schematics each story on my resume. As I enter my fourth year of recovery from mental illness, that same “unimprovable” resume gets me some very good interviews, which, I’ve discovered, are actually networking events in disguise. I have looked at quite a few resumes over the years. I find that many of my military and tech friends run into the same problem forgetting the goal. It is not only important that you say what you think is important, but what the reader gets from it. First test is to stand up and read it out loud. Not in your chair mumbling the words. But as if it were a speech you were giving. Flow, rhythm, and repetitive words will stand out. Second, it is not a doctorial thesis so grab anybody and read it to them a section at a time and then ask if they know what you did in that job. Often times you will get a blank stare and they will say it sounds impressive. That is not a complement. That means they don’t comprehend it because of acronyms and terms so it must be good. I have read resumes for coworkers that I worked with everyday and yet I assumed they were talking about a previous job because it didn’t sound at all like what they did every day. Don’t make it so hard for the person reading it to find the good in you and the value that you could bring to their company. So if you have to go after different industries at the same time DON’T be lazy and use the same resume. 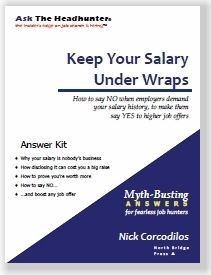 The time you waste sending irrelevant resumes to multiple companies could be spent customizing it for the smaller number of companies that you have researched as per Nick’s guidance. I too paid a professional resume writer and discovered some of the same issues–the wording was confusing and didn’t mean much. However, I did use this rewrite as a spring board to recreate my resume into something that resembled more of a “working resume,” but it is still a work in progress. My advice would be to forget the professional resume writers and create a resume that shows what you can do to get the job done for the employer. An interesting topic and responses. Steve Jobs was the master at capturing one’s attention quickly. He kept things very brief. “A thousand songs in your pocket… The Internet in your hand… Would you rather sell sugar water or change the world?” He wrote headlines for newspapers and magazines by keeping the message focused and concise. He controlled the message by its brevity and impact. For some reason, we have been taught to make resumes/CVs the opposite: lengthy, misleading, robotic, with esoteric terminology that has little value to the person reading it. 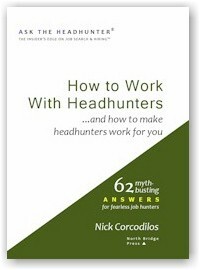 Nick has championed “doing the job in the interview” for a long time. I would add “do the job in the resume” by thinking about what worked for Steve Jobs. I just sent a mile long response to someone asking for resume help. It was inconsistent, formatted horribly, and just generally a mess. In ten minutes, I rewrote it into something consistent that looks good and is easy to read. Consistency is the key, as is being concise and making it easy to read. If I read the bullet points about, I think I’d assume the person was under/over/not qualified, reject them, and move on. Make it easy for me. I review hundreds of resumes a day!!! I like that idea of the forward-looking proposal style resume. A small minority of newer coaches advocate them, yet are unable to ever produce an example, partly because they don’t want you mimicking it, but I suspect more because it’s a “know a good one when you see one” proposition that defies a format or formula. For the career coaches that still dabble in recruiting I’m also sorry to say that it’s a “do as I say, not as I do” proposition, because they will write about these, but then turn around and demand a traditonal resume for the assignment they’re working on. According to them, it’s because it’s what that client expects or demands: Show “you’ve been there, done that”. For these two resume philosophies, it’s “Never the twain shall meet”, even in the hands of the same expert. Nick, please don’t use the “grandmother” (mother, girlfriend, grandfather) comparison, this is not nice to women and older workers. Like they can’t be professionals, only as “erudite” as children (any grandmothers reading this article? – mine was an accountant). This type of comparison is absolutely unnecessary to say “explain it to somebody who’s not a professional in your field”. As for writing a resume in a non-standard way, I used to provide a functional resume… only for managers to complain “I have trouble with this format, can you give me a chronological one?”. I also had an admittedly unreadable chronological resume stuffed with keywords, and it had the most success. Not many managers actually READ resumes these days, doing only keyword and pattern match (such as how “recognizable” it is at the first glance compared to the industry standard). Some companies are moving away from resumes, requiring only work samples and such. IMHO, a resume should be technical, including technical terms, because it should describe your technical achievements and what you can offer the company to a technical manager. I am a petroleum geologist. My resume contains many terms that an outsider will not understand – not keyword bingo, but plain, simple sentences about petroleum geology. Any petroleum geology manager will easily understand. If not, the manager is incompetent. And I ensure that the resume goes to a technical manager, no HR jockey. Granted, it may be different if one tries to change industry, but then, there is no way around learning some nuts and bolts about the new industry. And: No proactive facilitation of strategy implementation. It’s BS and we all know it. I hear the term ‘my resume’ all the time. What I should be hearing is ‘my resumes’. You can’t have just one; they must be tailored to a specific audience. It’s called marketing. Imagine Ford Motor Company puts an ad in Car & Driver and one in People. Will they be the same? Of course not. The C&D ad will have compression ratios and torque and 0-60 times; the People ad will have a mountain road and a lake and a couple of elk. The goal of each is the same, to get you into the showroom, the ‘interview’, but the content is different. If you are going to use a resume as a tool to get interviews (certainly not the only or perhaps even best tool, as any ATH reader knows), then understand that getting an interview is the only purpose of that resume. Once a candidate is face to face with an interviewer, the resume ceases to have any value. And make any resume you write accomplishment oriented. When I was a District Manager for 5 stores in a regional retail chain, I was of course ‘Responsible for meeting revenue targets’, but does that tell anyone I actually did that? So what my resume says is ‘Exceeded revenue targets 4 out of 5 years’. If your resume sounds like a job description, start over. Good point–if your resume reads like a job description, then start over. Sometimes, it is the job descriptions that need deciphering. What a timely column in my case, Nick, thanks. Methods and trends and styles vary over time and between industries, but I always tell clients the bottom line is that the resume represents them, not me. That’s why I try to get their ‘story’ by helping them see aspects of their experiences and personalities they’re not used to acknowledging – and pick their brains for the relevant, specific technical info. 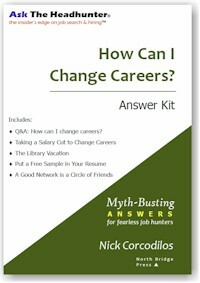 You ask why your Working Resume is such a challenge for both the applicant and the potential employer. For starters, it wouldn’t fit into the OCR screening patterns that are still used by many employers; that would affect both parties. Other than that, assuming an interview (preferably in person), the applicant would just need to put a lot of new attitude and energy into presentation to engage the employer and shake them out of the ‘here we go again’ boredom (and possible resentment) of the interview process. Just in case, though, I suggest the applicant also be prepared with the more traditional information and answers; not all those with hiring power are secure enough to completely let go of habits and traditions, whether personal or professional. As always, thanks for making us think and imagine! I agree with Becky’s point that Nick’s working resume risks being rejected by OCR / ATS systems. An additional problem with it is that the working resume as described by Nick gives the hiring manager no indication that the candidate can deliver on his or her plans. Adding a well written “Professional Experience” section that shows how well the candidate achieved their goals in previous employment can make a significant difference to their chances of being interviewed. -The standard resume gets you your place on stage at the pageant so it has to be appropriate for your industry. I know as an Engineer that that means 2 pages of work experience and technical knowledge if I want to get considered. -The working resume allows you to turn the judging contest on its ear. While your competition is parading around you’re talking about the real work that is going to get done. Perhaps a better description would be “someone without advanced education” – though even there you’d run into people like my father who left school at 11 or something but is very well-informed on a range of topics. I tend to agree with Karsten. I work in a very specialized field, and if someone with experience in my field sent a resume spelling out our technology in easy to read sentences, I might be a bit miffed, because reading our job description would reveal we kind of know that. Now, if someone is applying for a job in a different field, then I agree it needs to be explained a bit more. Filters I’ve helped define use acronyms, since that is how people describe what we do. But one more warning – even if you are applying in your field, beware of company specific terms that those in other companies won’t know. Some companies have their own vocabulary. (IBM is a prime offender.) Also, every company thinks everyone else does things their way, which I discovered when I did technical sales support. So, make sure your buzz words are industry standard, not company specific, buzz words. People sending technical papers to conferences often make the same mistake. In other columns, you’ve said that HR droids and headhunters are lazy, relying on only the keywords provided by the hiring manager. If I’m stuck going through the traditional hiring gauntlet, don’t I have to play their game? As a safety-critical avionics software engineer, I include without explanation initialisms that should be portable within the industry: DO-178B, JTAG, CPU, and RTOS. In order to cover both bases, I spell the phrase out and parenthesize the initialism for less common terms such as: in-circuit emulator (ICE), Requirements-Based Testing (RBT), and Verification and Validation (V&V). I don’t even bother with the initialisms when they’re project-specific, such as: Autopilot Flight Director System (which we always called the AFDS) and Fuel Quantity Measurement and Indication System (which we always called the FQIS). An acquaintance once worked for what amounted to a resume writing service. The company name had nothing to do with the founders; it was the result of research which suggested that surnames originating from the UK lent themselves to sounding highfalutin, and thus, worth a higher fee. Sadly, some of their unemployed prospects would pay four figures for a convincing spiel and a quick run for their resume through the genericizer. The company offered no promises of measurable or tangible results. The challenge to the employer/hiring manager/advocates is it’s different. It’s non standard. There’s a chain of command involved that needs to buy in, usually the employers boss, and perhaps even the boss’s boss. The higher your goal, the tougher the sell. And the employer, as your advocate and sponsor, is the sales person. So as someone noted, you don’t have “A” resume, you have resumes plural in your bag of tricks. A standard formatted resume may be the ticket to play as you move up the chain. A tool for your would-be employer. This kind of resume, a work plan resume is not far fetched, idealistic. You’ve got nothing to lose. 1st of all remember that working for a job is a full time job..and you’re in sales, selling you Inc. Sales is all about differentiation. And I can assure you if you use this kind of resume will will differentiate. It offers you some advantages in that if you go their route, there are different rules of engagement & opportunities. For instance, someone mentioned stories..I love stories as opposed to bullets. The 2nd point about proof you understand what needs to be done, can be in the form of a story about you doing something very similar, backed up by references. So in short, think of a work plan resume as a networking deliverable. In the world of web-based job applications and keyword scanning, perhaps there is a middle way to satisfy everyone. My impression is that the working resume could be made into a cover letter, or rather, it’s what a cover letter should be. 1. 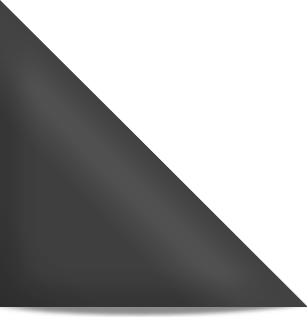 Cover letter – covering the four working resume points. It has to grab the attention of the hiring manager. 2. Conventional resume – structured like a newspaper article, ie. 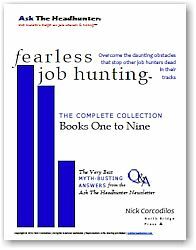 most pertinent stuff first in declining order (tailored to the job, keeping in mind that both HR folks and hiring managers will read it). Most likely it will be your address, education and relevant job experience. No jargon. 3. Buzz-word bingo – paste the job posting points on the left. Show how you meet them on the right. Use all the acronyms that you need (and spell them out). In the rare case that you have some outstanding relevant skill, put it below. Make it easy for an HR type to tick off their boxes. Less is more; if they want more information they will ask. Supply the minimum so less effort is spent reading it. Make it as easy as possible for the resume reviewers to decide to ask for more info. Is there anything missing from this idea? Could it be improved? I’m curious what Jeff and any other hiring managers think. p.s. If you follow Nick’s advice and approach the hiring manager directly, the conventional resume is irrelevant anyways (and there is no job posting). In that case, all you need is the working resume. Your “Working Resume” would be hard to use because essentially I/you would be saying “I have book knowledge or theories about how to do this job–Here Is My Best Estimate Of What The Job Requires And This Is Why I Am The Person Who Can Help Your Company Make More Money Doing This Job For You.. I AM one of those resume writers who interviews each of my clients in depth, asking them questions to learn enough to write their resume — and make it sound like my client wrote it. My journalism background taught me how to ask probing questions and to not give up until I receive answers. Each resume I write is a true picture of that individual. Sadly, most resume writers ask their clients to fill out a form questionnaire. My clients tell me that the 3 – 4 hour interview with me is excellent preparation for their job interviews. Liz: You truly are a rarity. Many years ago, I decided to start writing resumes as a side project. I think I did about a dozen, and I stopped. Most painful experience in my career. It started with a 2-hour interview – more like a therapy session. Then several hours of writing and structuring a draft to reflect who the person was and where their strengths lay. Then at least 2 more hours of discussion about specific experiences and how they would handle new situations — and the point with that was to coach them and help them see what their core skills really were. More writing and editing. Each project took 8-12 hours. I charged $1,000- $1,200 — and this was two decades ago. Not many were willing to pay that much, but the product was excellent. What they didn’t realize I was doing was helping them practice and develop the phrasing and message to deliver in interviews. I just couldn’t deal with the pain of doing each one, so I stopped. Maybe the fact that I was a headhunter had something to do with it — I enjoyed the rapid fire transactions with people a lot more. I admire your devotion to your work. If you’re helping them prep for interviews, you’re doing it right, because that’s what it should be. Kudos. I realized I love the coaching part, but writing those resumes — forget it! Excellent post and comments. It is true that writing résumés will be the toughest writing assignment you will ever have. My brother and I were having this discussion with our father a few weeks ago, and try though we did, we couldn’t make him understand that you just don’t have one format, one style, or even one résumé that you simply attach or print out to use for every job you apply for. Explaining that you have to carefully tailor your résumé for each job, for many employers, keep your résumé to one page (try to do that when you’re over 40, or younger depending on the field), that you have to try to figure out what key words the computer software used by HR is going to want to see and trying to anticipate that sweet spot (just the right amounts of experience, education, not too young, not too old, etc.) means that there is no such thing as even merely editing the last résumé. Having a “working résumé” is not worthless–a career counselor at my alma mater called it the “everything résumé”–you list every degree you possess, every certification, every job you’ve ever held, every publication, every skill. Then, if you are lucky enough to have a job description for the job you’re applying for, you go through it and match up your previous experience, skills, education, etc. with what they want. Her point was that if you inadvertently omit something, you might be letting the company weed you out before you get a chance to sell yourself. @Mike: I agree with you to a point. Sure, hiring a novice is a risk for a company. But we all start out with no experience at some point in our working lives, and if no employer is willing to take a chance, isn’t willing to train/teach/mentor a novice, then no one would ever have any experience. It is a vicious circle/catch 22–you need experience to get a job, but can’t get a job without experience. I also know that some employers prefer novices because they want to mold employees rather than hire people who may have learned other ways of doing things, seen other systems, etc. This is very common in academia, or at least it was before the great economic meltdown. Depts. were more willing to hire newly minted Ph.Ds for faculty positions than someone who had the same degree and had been teaching for 10 years. Why? You’d think that they’d rather have the more experienced professor in the classroom, one who knows what it is like to serve on committees, who has published, gotten grants, etc. But the attitude was that the dept. often didn’t want someone else’s habits, and newer (meaning the shiny new Ph.D) faculty are easier to mold than someone who has taught at other universities and has some experience under his belt. And yes, they’ll still require that faculty bring in grant money and publish. There are some professions where getting a novice is fine (assuming that the novice is getting adequate supervision so no harm comes to me), and others where I want someone with experience. There was a link in one of Nick’s earlier posts about how much time people give to résumés—under 5 seconds, so all of this agony carefully writing, tailoring, re-writing, etc. doesn’t amount to much if the person looking at it gives it less than 5 seconds. It means I might as well write it in Greek for all the attention they will give to it. And with HR commandeering more and more of this process, and turning it over to computer software to do the work for them, I sometimes wonder why anyone bothers with résumés at all. I have a book at home titled “Break the Rules”, author is William A. Cohen. In it he advises not to use a résumé at all but rather to write a “sales letter” because you can highlight your skills and what you can do for a company far better than you can in a résumé. Writing a sales letter is tough too, but in some ways it does avoid the problems built into résumés. But like writing a résumé, writing sales letters still means knowing your skills, tailoring the letter to the employer and job, etc. I think we’re just so brain-washed into doing résumés that we don’t think about it. And employers, too, are brain-washed. Why require one if you’re not going to read it or spend less than 5 seconds on it? I work in a highly technical field – in interviews I ask early career people to discuss their thesis work (almost all are advanced degrees) and then, afterwards, I ask them to explain it again, to a high school student. Its a learning experience for them, but it really uncovers a lot about their people skills. @VP: Thanks for sharing a real-world example of this. The way a person answers reveals a lot.